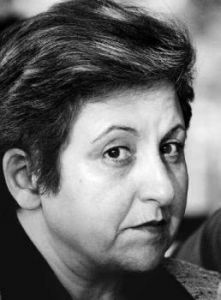 "The answer to the Iran nuclear issue is more democracy"
Winner of the Nobel Peace Prize in 2003,Shirin Ebadi is a prominent lawyer and human rights activist within her country, Iran, as well as an advocate for human rights around the world. In an exclusive interview to The Hindu during a recent visit to India, she spoke about the situation in Iran and the impact the `war of terror’ is having on human rights. What is your assessment of the effect the so-called global war on terrorism has had on the human rights situation around the world? I must say at the outset that any kind of violence is reprehensible to me. Terrorism solves no problem. But fighting terrorism has become an excuse to infringe on human rights. On the pretext of `national interest,’ governments around the world are increasing their powers and controls. But this has not led to a decrease in terrorism. In fact, it seems as if it’s on the rise. And the reason may be that we are only looking at the effects and not the causes of terrorism. It’s only when we look at the root causes that we can combat terrorism. And what are the root causes? Terrorism has two main causes. First, prejudice, which comes from ignorance and illiteracy. By bringing awareness, one can possibly fight prejudice. The education system everywhere is inadequate. For example, let’s take history. We learn of wars and how one side has been the victor and one side the loser. But never do we learn of the actions that would have led to prevention of those wars. Of course, worse than insufficient education is the lack of any education at all. For example, in your country, many children do not go to school due to poverty. The second cause of terrorism is injustice. When a nation lives under poverty for generations and the world is indifferent, when several generations live under dictatorships and the world is indifferent, when many generations are forced to migrate away from their lands and the world is indifferent, then, because they are hopeless, people may take actions and forget reasoning and common sense and light fires that can burn both themselves and others. This is one of the manifestations of hopelessness. I’m against any kind of violence, even if it’s carried out against oneself. But I want to understand why some people attempt violent action. Eighty per cent of the world’s wealth is controlled by one per cent of its population. With food wasted in European and American restaurants, one can feed many in other countries. How do we ever expect in such a world to find peace? Turning to Iran specifically, how has the coming to power of President Ahmadinejad affected the human rights situation there? Censorship is tougher. More newspapers have been shut down. The police have attacked peaceful gatherings of women’s groups, student and workers’ groups. Many workers have been arrested. Inflation has sharply risen. Mr. Ahmadinejad promised in his election campaign that he would fight corruption. But we’re yet to see anything happen in that area. As a human rights defender inside Iran, what are the avenues available for you to struggle? Are there any legal remedies, for example? What about mobilising public opinion? Unfortunately, our courts are not independent and they do not carry out justice. For years, I’ve been defending only political prisoners. And in none of these courts have I ever seen justice carried out. One of the most famous Iranian journalists was my client. He was sentenced to six years in prison just for writing an article. Yes, Ganji. Two of Iran’s most famous trial lawyers are also my clients. Both have been sentenced to five years only because they accepted to represent political prisoners. One of them has been in jail for the past four and a half years. His name is Nasser Zarafshan. And the other has been in jail for seven months and we have brought him out on bail. If his sentence becomes final, he must also go to prison for the five years. As such, you can see that I have no hope in the courts. Our only hope is public opinion, whether nationally or internationally. And it is for this reason that I go on trips repeatedly. What about the so-called reformist wing? Do new parties such as Ettemad-e-Milli of Mehdi Karroubi and others offer any hope? For years, the people thought the reform wing of the establishment could offer a way out. And it is for this reason that Khatami got elected [as President]. Unfortunately, his programme was defeated and he couldn’t implement his reform ideas. One of the reasons he failed was that power is in the hands of extremists and fundamentalists within the establishment and they never did let him implement his programmes. Let me give you an example. Khatami wanted the government to join the Convention against Torture and the [Convention on the Elimination of all forms of Discrimination against Women] CEDAW. At the time, the parliamentary majority was with the reformists and they did pass these laws. But the Guardian Council refused to allow them to stand. In fact, one of the high-ranking members of the Guardian Council said in public that one of the worst days of his life was when the CEDAW came before him. His point was that why should the parliament of an Islamic Republic pass this law in the first place for him to then have to reject it! When I was in Tehran last August, I interviewed the Islamic scholar and dissident Mohsen Kadivar and he spoke of attempts being made to restrict his international movements. Do you experience such attempts? As a human rights activist, does it complicate life when you have the U.S. Congress passing laws giving money for `democracy’ and regime change in Iran? Does this help your work or make it more difficult? Democracy cannot be purchased and America cannot hope to designate money to bring democracy. It is not a commodity to export. Democracy is a culture. This culture exists in Iran and for years Iranians have fought for democracy. The budget that the U.S. has set aside to bring democracy in Iran does not make anything easier for human rights defenders and activists. If anything, it gives the government a pretext to crack down on anybody who is fighting for democracy by branding them as people who get money from outside. As a concerned Iranian, how do you look at the nuclear controversy? Do you think the United States’ approach of threatening sanctions against your country will produce a good outcome? I’m categorically against nuclear bombs for any country — India, Pakistan, Israel, Iran, all of them. But regarding nuclear power in Iran, I’ve never been part of the government and I’ve no idea what goes on behind closed doors. As such, I’m not really sure what stage we’re at in the nuclear energy programme. The Iranian government claims that it is using nuclear energy peacefully but the international community does not accept this claim. And the reason is clear: Because democracy is not advanced in Iran, there is no public supervision. It is only natural that when decisions are made behind closed doors, the world does not trust those claims. The only way out is advanced democracy. And if the world can see that people are supervising, or watching, the government’s actions, then they will have to trust what it has to say. Economic sanctions have never been detrimental to governments, only to people. The Iraq experience proves this. Hundreds of thousands of children died in Iraq of hunger but Saddam and his family became richer. Other solutions need to be sought out. Are you afraid that the nuclear question is becoming a pretext to target Iran, to attack it militarily? I can only hope that America has learned something from the Iraq situation. And I don’t think the American people are for another war. Will Shirin Ebadi’s call for a World Ahimsa Day on 30th January go unheard, even in India? During the World Social Forum in Bombay (2004) Ebadi, in her modest and discreet way, spent a morning in a tiny school run for girls in Goregaon by an NGO, Sahyog (google ‘Ebadi Ahimsa’. To read a report on this visit in the Indian Express, search ‘Iain Ball Ebadi’). In her speech to the girls, Ebadi called for a day of imaginative worldwide experiments in non-violence on the very day Godse assassinated Mahatma Gandhi. The Call for Ahimsa was originally sent out by students (mostly Japanese and Koreans) in a Paris school working on their English with Attenborough’s ‘Gandhi’, and was supported (see petitiononline) by Noam Chomsky, Romila Thapar, Asma Jahangir, K.R. Narayanan, Immanuel Wallerstein, and others. Minister Arjun Singh promised us last January to discuss with Prof. Krishna Kumar, director NCERT, how best to get Indian schools involved. 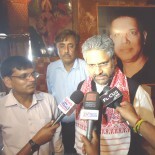 But the sudden illness of one individual (Secretary, HRD Sudeep Bannerjee) sufficed for the plan to fall through. Recently Purushottam Agrawal (JNU) in an extraordinary Gandhi memorial lecture (now published in Hindi by the Gandhi Peace Foundation), urged people to take up this idea (search “Teen Voice, Ahimsa” for a front page article in The Telegraph, last January 30th), which holds the promise of an imaginative worldwide movement. Krishna Kumar had warned us that it may take a “few years” for the proposal to get heard (we put up his comment on the call4ahimsa blog), but some of us were indignant at his pessimism! He was more than right. Now I remember, Hari Vasudevan mentioning that if someone like Siddharth Varadarajan were to write about this in The Hindu, the proposal may get that wider hearing. Siddharth, would you agree to take a look at this and maybe write something? By next January? This entry was posted on November 28, 2006 by Siddharth Varadarajan in Human Rights, Interviews, Iran.